Money from the EU funds illegal building in Israel, within Jerusalem and in surrounding suburbs. Do the people who are so ill-served by this waste of money even know? Are they really willing to pay for this futile exercise? It defies logic. GREECE is essentially bankrupt. A loan extension was approved a few days ago, but only for a few months. After that?? SPAIN is struggling to rebuild her economy. Unemployment is rampant, with huge demonstrations held over the last year in Madrid alone to protest joblessness. GERMANY once the powerhouse of Europe and the EURO is struggling to maintain the financial stability of the EURO. The EURO has been devalued during the last weeks due to international concerns for it’s stability…. and more market and currency shocks are likely to come. 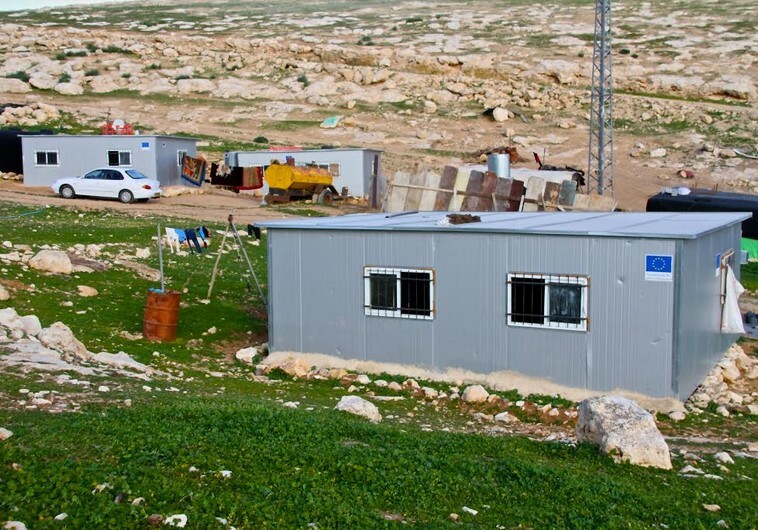 Yet, the hatred for Israel supersedes financial wisdom as EUROs are being invested to build temporary structures for political ends in the OSLO approved Israeli controlled areas in and surrounding Jerusalem. Continual international pressure has limited Israeli building in some of these areas, even inside Jerusalem and surrounding existing towns and suburbs. Yet the cash poor EURO countries tax their citizens to build shanties ( a cost of millions of Euros for 500 or so shanties!) with an EU insignia in open areas to lay claim for the Palestinian Arabs in areas legally controlled by Israel by international agreement. 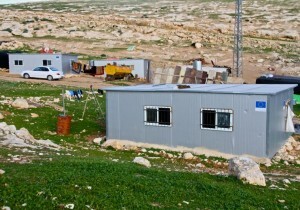 The hypocrisy is easily exposed by Palestinian and European opposition to the construction of a new city nearby planned to assist the local Bedouin population to move from tents to permanent homes; at the same time the Europeans are claiming that their shanties are ‘humanitarian assistance’ for the poor Bedouin living in tents who may be ‘displaced’ by legal building in the City of Ma’aleh Adumim on municipal land. What a waste of money just to create more conflict! Do the people who are so ill-served by this waste of money even know? Are they really willing to pay for this futile exercise? It defies logic when unemployment is so high, the currency struggles to maintain its exchange rate, and some Eurozone nations have been tottering on the verge of bankruptcy. How can the Eurozone taxpayers possible agree to funding such foreign adventures. Perhaps someone ought to tell them? Greek Economic News: Although Greek leaders have taken a more conciliatory tone on debt talks in recent days, analysts like Desmond Lachman of the American Enterprise Institute here in Washington point out that uncertainty over Greece’s intentions has led international investors to withdraw as much as $16 billion from Greek financial institutions during the last month. IMF: IMF managing director Christine Lagarde: Meanwhile the eurozone and Japan could be stuck in a world of low growth and low inflation for a prolonged period. EUROZONE UNEMPLOYMENT RATE: Eurozone Unemployment Rate is at 11.40%, compared to 11.50% last month and 11.80% last year. This is higher than the long term average of 9.70%. TRADING ECONOMICS: Undermine German support for the euro: If the ECB launches QE, and particularly if the Bundesbank votes against, Germany will be isolated with both political and public opinion hardening.